Today I’m continuing my hunt for Watch List shares with a look at Cambria Automobiles (CAMB). CAMB was established during 2006 by Mark Lavery, who had previously worked at other car dealers for about 20 years and had risen to the ranks of operations director. The group employs a “buy and build” strategy and, during the last ten years, has completed 13 separate transactions to acquire 31 car dealerships that represent 17 different brands. Dealerships cover the likes of Aston Martin, Ford, Jaguar, Land Rover, Renault and Vauxhall. The group’s 46 forecourts are spread throughout England and last year sold 12,516 new cars, 15,729 used cars and performed 354,193 hours of servicing. Though servicing accounts for only 11% of revenue, it produces about 40% of gross profit. CAMB joined AIM in 2010 and the firm’s website carries the admission document and all the subsequent annual reports. The archives show that revenue was £25m and operating profit was £800k during the group’s first year in operation. CAMB’s progress has not been entirely smooth. Notably, lower revenue and profit were reported during 2012 during what management described as a “period of significant economic uncertainty and poor consumer confidence”. That year saw the number of new and used cars sold by CAMB decline by as much as 5%, although service revenue managed to remain flat. After 2012, the number of new and used cars sold — and the price customers paid for the vehicles — have advanced every year. The accounts have unfortunately shown a steady stream of exceptional costs, most of which relate to acquisitions and their subsequent integration within the wider group. However, the sale of a business during 2016 did create a significant — and positive — one-off item. I calculate CAMB has spent £36m on acquiring new dealerships and branches during its six full years as a quoted business. Up until 2013, goodwill had totalled less than £500k as the firm was careful to buy assets (property and car stock) at close to (or even below) book value. 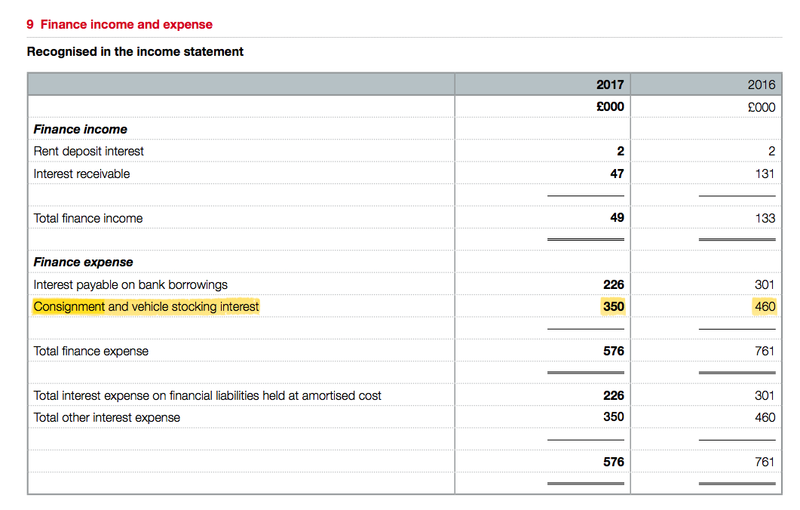 However, goodwill has since ballooned to £21m as the strategy has evolved to target dealerships of premium marques… where acquired tangible assets can be minimal. For example, the deal to buy a Land Rover franchise in Welwyn Garden City last year created goodwill of £10m — and brought with it tangible assets of only £822k. What’s more, CAMB’s acquisitions are now involving significant further investment “to comply with franchise standards”. The Welwyn Garden City purchase, for instance, requires an extra £16m to be spent on buying and developing a new dealership site. The 2016 balance sheet displays share capital of £11m versus earnings retained by the business of £31m. The £11m was raised before the flotation and no new shares have been issued since. Mind you, the business has not been afraid of taking on debt and other interest-bearing finance to fund its expansion (see below). CAMB’s 2016 balance sheet carried cash of £20m and freehold property with a £38m book value. In comparison, bank debt of £19m does not look too onerous. That said, the aforementioned Welwyn Garden City investment and other recent deals will increase CAMB’s borrowings. The 2016 annual report indicates freehold and building investment will total some £31m during the next two years. That level of expenditure is substantial when current earnings are £8m. It is also worth noting that CAMB (similar to other motor dealers) enjoys financing from the car manufacturers. 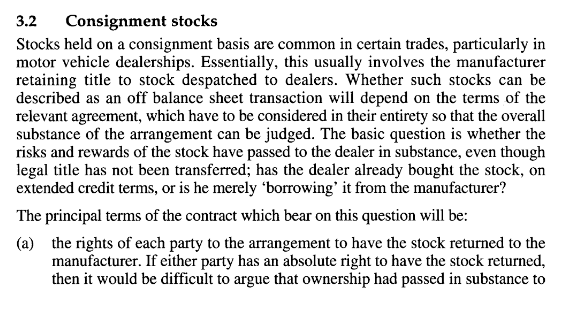 Essentially CAMB’s stock of vehicles is funded by “consignment” and “vehicle funding” liabilities, which are paid off within a year of taking possession of the stock and can attract interest in the meantime. Even though these liabilities may be viewed as short-term loans, they are treated in the accounts as trade payables and not debt. At the last count, CAMB carried vehicles with a stock value of £93m alongside combined consignment and vehicle funding liabilities of £101m. The danger with such funding arrangements is that during difficult times, the manufacturers may tighten their lending… just as the associated stock becomes difficult to sell and can’t pay off the existing liabilities. At least CAMB does not have any legacy pension issues to worry about. The aforementioned funding of CAMB’s stock makes for very favourable working-capital movements. In fact, the group is one of those rare operations that produces more working-capital cash the larger it grows. (However, I suspect this cash flow situation could reverse in a downturn). Meanwhile, total cash expenditure on tangible assets during the last six years has been almost double the depreciation charged against earnings. However, I can’t see any cavalier accounting on this point. Instead, the surplus expenditure looks to have been spent on freehold sites — which are typically a genuine expansion cost and ought to hold their value. CAMB claims its operating culture is based upon “four pillars” — delighting staff, delighting customers, delighting the car manufacturers and delighting stakeholders. I doubt any of this will ever translate into a Buffett-type ‘moat’, but it may set CAMB apart from the rest of the sector. A group operating margin that has always come in at less than 2% shows just how little money is made by selling cars, although the mark-up on servicing revenue is much higher. I suspect any long-lasting competitive advantage will surely revolve around the group’s boardroom. I can only surmise that the aforementioned financial history of CAMB signals the executives having a knack for successful dealership acquisitions and management. Return on average equity for 2016 was £8m/£37m = 22%. An attractive figure, especially when the asset base carries substantial freehold property. Bear in mind, though, that the returns are supported by substantial vehicle financing by the manufacturers. Since the flotation, CAMB’s return on average equity figure has averaged 18% and hit 13% at its 2012 low. I am impressed that CAMB’s six years as a quoted company have seen it increase adjusted earnings by £5m after retaining an additional £26m of profit. Those numbers give an incremental return on equity of £5m/£26m = 19%. The aforementioned Mark Lavery started the business during 2006 and has served as CAMB’s chief exec ever since. Mr Lavery can therefore take the praise for the group’s track record. Mr Lavery turns 52 later this year, so ought to have time on his side to build the business further before he contemplates any thoughts of retirement. Mr Lavery is assisted by a finance director, who has served in that role since 2007, and a managing director of the motor division, who has worked for the group since 2008. Mr Lavery received a £400k basic salary and £450k annual bonus during 2016. I would say such sums are quite generous for running a business with an £11m operating profit. I note Mr Lavery has collected a decent bonus every year since the flotation — even for the down year of 2012, when a nice £150k was paid. At least his salary has been kept at £400k for the last three years. For what it is worth, Mr Lavery appears to hold no options (the annual report does not disclose director options) and does not receive any pension contributions. It is probably no coincidence that Mr Lavery’s accomplishments at CAMB have been achieved with him owning a substantial portion of the business. I’m impressed Mr Lavery did not sell any shares at the flotation and has since left his 40%/£24m stake untouched. Another figure that has been left unchanged since the flotation is the share count — it remains at 100 million. However, I note 4.75 million options have been granted and could one day alter that share-count number. “The Group has maintained its momentum from the strong results delivered in the last financial year and its trading performance in the first three months of the current financial year has been ahead of the corresponding period in 2015/16, both on a total and like-for-like basis. After a strong September trading period, the Group did see some pressure on new car margins in October and on new car volumes in November. New vehicle unit sales for the first quarter were down 0.7% (like-for-like down 9.4%), but gross profit per retail unit improved in the Group’s like-for-like businesses. Used vehicle sales continued to perform well, with unit sales 3.6% (like-for-like 2.5%) ahead of the same period in the prior year and gross profit per unit continuing to increase. This performance has again enhanced the profit from the used car segment of the business. The Group’s aftersales operations increased revenue by 13.1% (like-for-like up 2.9%), with profitability up by 6% year on year (like-for-like down 1.5%, impacted partly by a fire in October at the Welwyn Garden City Jaguar and Aston Martin workshop). The Welwyn Garden City Land Rover business which was acquired on 8 January 2016 and the Woodford Jaguar Land Rover business, acquired on 5 July 2016, have continued to perform in line with expectations. The Board continues to believe that there may be some pressure on new car volumes and margins in 2017 as a result of the uncertainty in the economy and the foreign exchange volatility witnessed over the past few months. Car sales hit a new high during 2016 and I dare say the next five years won’t enjoy the same rate of post-crash growth as the last five. Longer term, CAMB’s expansion will depend on locating suitable acquisition opportunities, trying to eke out greater economies of scale, and trusting the wider car market (and/or the general economy) remains reasonably positive. I suppose developments concerning electric and driverless vehicles may one day influence mainstream car dealers… but in what way I dare not predict. All I can say now is that I don’t believe car forecourts will go the way of typewriters… and if they did, well, any freehold sites they own should still be worth something. CAMB’s shares do not look expensive right now. At 60p, the share price is equivalent to 7.2 times the adjusted 8.3p per share earnings reported for 2016. Current broker forecasts suggest earnings could remain at 8.3p for 2017 and improve to 8.5p per share for 2018. CAMB’s property interests may support the share price should earnings go into reverse. At the last count, freeholds sported a 38p per share book value to represent almost two-thirds of the share price. Something I have not considered with valuation is CAMB’s vehicle funding. In general I add back debt to a company’s market cap to arrive at an enterprise value — which allows me to value businesses on an even footing whatever their cash/debt structures may be. With CAMB’s vehicle and consignment funding attracting interest, are such liabilities actually debts? Or are they part of a normal working-capital facility? I have not come to a firm conclusion on this matter. But at £101m, these liabilities exceed CAMB’s current market cap by some distance and ought to be at least considered by investors. Is it worth watching Cambria Automobiles? The stand-out feature of this company is a chief exec who in ten years has used £11m to build a business that is currently valued at £60m and earning £8m annually. His unwavering 40% ownership is another reason to become very interested. CAMB’s decent record of growth, appealing return on equity figures and a lowly P/E valuation are further plus-points. That said, CAMB does not strike me as the greatest business on the market today. Margins are thin, expansion is dependent on acquisitions while operations rely on significant supplier ‘loans’. What’s more, plans to spend £31m on new freehold developments during the next two years — when earnings are £8m — will bring further debt onto the balance sheet. I get the feeling the plans could transform CAMB into more of a property investment, with a car dealership on the side. Right now my instinct is to not take CAMB any further. You see, I look back at the five shares I bought last year — BrainJuicer, Bioventix, Daejan, M Winkworth and World Careers Network — and I dare say the members of that quintet offer at least the same management attractions as CAMB. However, I feel higher margins, sizeable net cash positions, acquisition-light histories and an absence of supplier-funded loans do give BrainJuicer, Bioventix, Winkworth and World Careers a distinct edge over CAMB. And if I like CAMB for its property angle, then Daejan has been a far more illustrious performer in that sector. All told, I’d seriously consider CAMB as a new purchase if I were happy with a 20-plus share portfolio, But I am trying to run a tighter portfolio, and a lot of the companies I already own simply appear to exhibit better business financials. Disclosure: Maynard does not own shares in Cambria Automobiles, but owns shares in BrainJuicer, Bioventix, Daejan, M Winkworth and World Careers Network. This entry was posted in Cambria Automobiles, My Rejected Shares and tagged CAMB, Cambria Automobiles on January 11, 2017 by Maynard Paton. Great analyis, Maynard, I was just looking at them as well. Great company, but I would prefer them to spend more money to ensure more aftersales revenue like eg Vertu. If they would go to 50 I would consider byuing. Thanks for the Comment. Yes, I think I would prefer more aftersales revenue, too. Somebody mentioned Vertu to me last year just after Brexit, but I never got around to looking at that company. I’ll endeavour to have a quick look to see how that business compares to CAMB. Thank you Maynard. Vertu is Cambria on steroids. Starting in 2006 as well but using more debt and unfortuntatelly recently even the share issue. But I prefer Vertu orientation on Ford and more “common” car makers then Aston Martin and Range Rover with Cambria. In my opinion you missed a little bit in your view on cambria. From 2009 they earn 1.8 m and now its over 8m. They got great record of turnaround under performed dealers to good ones under cambria system. Much higher then average used cars turnover making % of pretax income closer and closer to 2% which is the team target. This is a play of great capital allocator and great execution.. and not growth of sales in new cars. Thanks for the Comment and I am glad you found the write-up useful. Yes, CAMB does have a great record of buying under-performing dealers, and to be honest, if that was the current strategy, I would be more inclined to place the share on my watch list. But the acquisition approach changed a few years ago to target ‘luxury’ motor marques and the associated dealerships do not come cheap — and also they apparently come with sizeable extra required investment. I have not looked through the sector, but I shall take your word that CAMB produces greater-than-average revenue from used cars. That said, I think the best source of income is the after-sales service revenue, which seems more reliable and more lucrative. I was not aware that 2% was the group’s margin target. Yes, CAMB’s success is dependent on great capital allocation etc, but I think the recent and forthcoming amounts of capital being allocated through acquisitions are a lot larger than before, and it is not quite as obvious that the group will be as successful as before (when it bought dealerships at book value). My view, for what it is worth, is that there were other businesses I was more comfortable owning, which did not have the liking for acquisitions and the dependence on supplier funding that helped the ROE etc look good. did u have time to look vertu motors? what are your thoughts on vertu vs cambria?? Sorry, I never looked at Vertu. Good question. I guess with TAST I am betting that the Kaye family management can repeat the build-and-sale of yet another restaurant chain. I admitted TAST was not my typical investment here. I suppose you could argue why buy TAST over any half-decent business. I rejected Dewhurst because I thought its progress and qualities were not as attractive as others in my portfolio. That said, I am happy to revisit the share because a lot may have changed following the write-up from three years ago. The link to my site may explain the traffic this page has been receiving. I love the way this Spanish site mixes English investing terms such as ‘Back of the envelope valuation’ within its write-ups. Congratulations on your blog Maynard. I just found it trough Finanzas Mania and no doubt I will become a regularly user of it. Im looking at Cambria and I am trying to understand what really represent working capital. I have taken a look at Inventory and about 75% is “Vehicle consignment stock” and 25% “motor vehicles”. At pendragon the weights are inversed and just 10% of inventory is “Vehicle consignment stock. 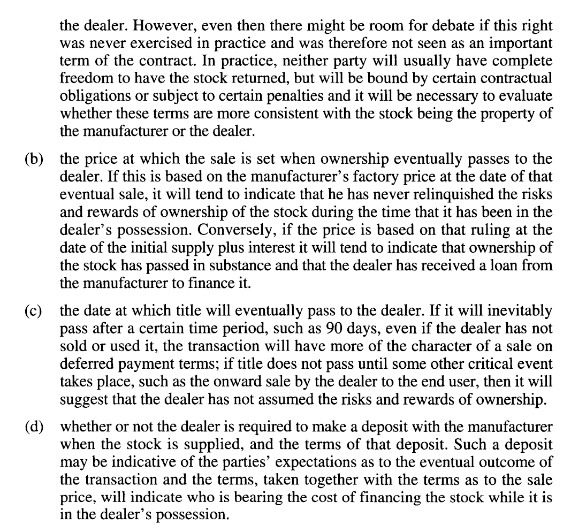 What I am trying to asses is a how a potential impact in inventory would affect a vehicle-retailer by figuring put who has the legal property of the vehicle? The manufacturer or the retailer? It would be really helpful if you can give me some insights. The manufacturer has legal title to consignment stock. The Pendragon annual report says the same. I am not an expert in this sector, but it appears manufactures supply the dealers with consignment stock, on which the dealer pays interest until the dealer sells the vehicle and repays the manufacturer. You could say the agreement is a form of loan. Given Pendragon is a much larger business and carries little consignment stock, I wonder if consignment stock is used primarily by smaller dealers that do not have the resources to hold large volumes of vehicles in their own name. The risk with holding consignment stock, perhaps, is that if the stock does not sell, the manufacturer will still require repayment at the end of the term. I am not sure if consignment stock can be simply handed back to the manufacturer. If it can be returned without penalty, then I think CAMB would not “bear all the risks and rewards of ownership” and would therefore not be in a position to include the consignment stock within its own accounts. Everything depends on the terms of the contracts between the dealer and manufacturers. If there is a downturn and fewer people buy new cars, then who gets lumbered with the consignment stock needs to be considered by shareholders. Thanks for the response Maynard. In case I get more detailed about this “issue” I’ll let you know what I find as a response in this post.